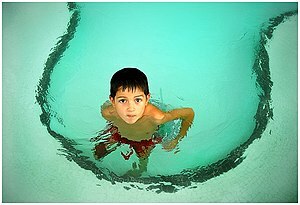 This entry was posted in Family, Kids & Collateral damage., Uncategorized and tagged Exercise, family, Health, humor, humour, parenting, Sport, Swimming, Swimming pool by Multifarious meanderings. Bookmark the permalink. Are you still swimming? And imagine my horror this year when I realized my size 43 feet had grown a size!! I’m afraid to say that I gave up. The pool princesses got me down every time I went there – nothing to do with not liking the exercise, you understand… 🙂 I am so pleased to hear that I am not alone in the generously sized feet stakes… Mine are a 43. I imagine that you go through the same fun and games as me to find yourself shoes… In Italy it must be a nightmare! I’m sorry to hear that the pool princesses got you down, I do understand and it makes me sad. Women really need to start being better humans to each other.